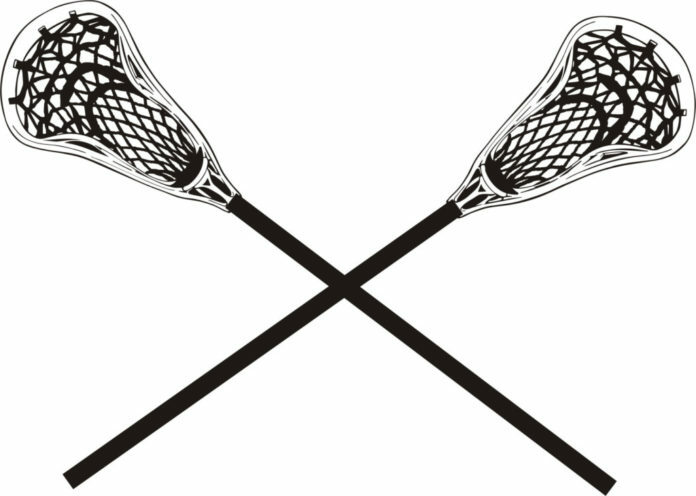 The University of Michigan-Dearborn lacrosse team is set to start the 2018 season Feb. 9 at home at the Detroit Country Day Fieldhouse against Olivet College at 8 p.m. 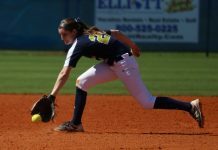 Looking to build on an improved season last year, the freshmen will play a big role in establishing success. Last week we were introduced to three new faces looking to make an impact on the lacrosse field, in the classroom, and community. This week, we meet the rest of the first-year lacrosse players ready to do the same. Adam Ranck is listed as a freshman transfer student from Kent State University, a Division I school in northeast Ohio, and plays both hockey and lacrosse at UM-Dearborn. He graduated from Walled Lake Northern High School in 2013 and is originally from West Bloomfield. Ranck was recruited to play lacrosse out of high school, but decided to play three years in a junior hockey league before committing to Kent State for hockey. Ranck transferred to UM-Dearborn “for a better education, to be closer to home, and to play hockey at a better school.” He says lacrosse player who used to coach plays on the UMD team, and with the help of the lacrosse coaches, talked him into playing. The hockey season could last until March 4, which could overlap with three lacrosse games scheduled in February. While he hasn’t played lacrosse since high school–where he tallied over 100 points his senior season and was an Honorable Mention All-State selection–Ranck hopes to make a big contribution to the Wolverines. Steven Szostak is from Austin, Texas, where he graduated from Westwood High School and grew up a four-sport athlete, playing soccer, baseball and football, but dropped them all for the sport he loves most: lacrosse. He is listed as both an attacker and midfielder for the Wolverines. His goal after graduation is to design cars, so Dearborn, where Ford announced a $1.2 billion redevelopment plan for their campuses in 2016 and is in close vicinity to the automotive capital of the world, is the perfect place for his college career. Although Szostak can’t suit up for the Wolverines this season, he hopes to learn as much as he can from the sidelines so he can step in without missing a beat next year. Growing up in Wauwatosa, Wisconsin, Cody White graduated from Wauwatosa East High School and started playing lacrosse in eighth grade when he was 13. He also played football in high school and maintains a deep love for the sport. From the Badger State, White was found by the UM-Dearborn lacrosse coaches through the recruiting website Hudl where he had video highlights. The highlights impressed the coaches enough for White to warrant an offer from the Wolverines. “I chose UMD because of their good engineering program,” White said. 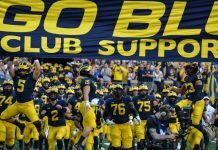 “In the future, I want to follow a path of electrical or mechanical engineering.” He declined many NAIA, Division III, and a few Division II colleges to graduate as a member of the maize and blue, he says. Listed as a defenseman this season, White hopes to contribute to the lacrosse team’s defense with his athleticism and overall knowledge of the game. He also wants to contribute academically as an above 3.0 GPA student. After being named the defensive MVP of his high school team last year, White will be leaned upon to bring that same tenacity this season. Graduating from South Lyon High School in South Lyon, Colin DeWitt first started playing lacrosse when he was in seventh grade. Growing up, he also played football, baseball, soccer, basketball, golf, and hockey, but “lacrosse was by far my favorite,” he says. 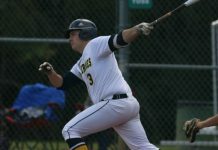 DeWitt chose to come to UM-Dearborn for the opportunity to earn a UM degree and continue playing the game he loves. He says he did have multiple offers to play out-of-state, but in the end wanted to be close to home. As a political science major, DeWitt is eventually shooting to go to law school and become an attorney. Listed as a midfielder for the Wolverines this season, he looks to use his athleticism to be a key factor for the team and help in all aspects of the game. 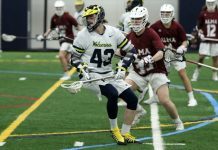 DeWitt has racked up many accolades and accomplishments throughout his lacrosse career thus far, including MVP awards and other honors, but will begin a new journey with the Wolverines this season.